Map It! 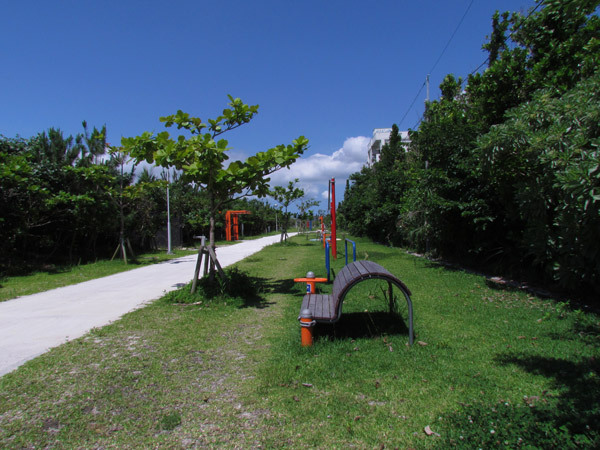 Okinawa: "Igei Beach, Kin Town"
One of the nicest beaches you will find on the eastern side of Okinawa not belonging to a resort nor near a highly populated area resides at the southern end of Kin Town. It is Igei Beach. 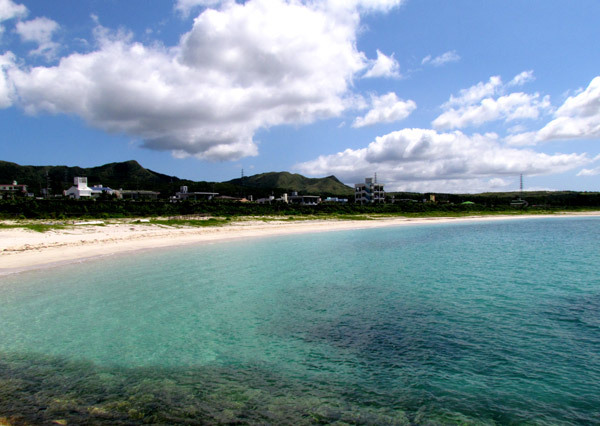 The white bleached sands and the beautiful blue ocean gives Igei Beach its gleaming luster. 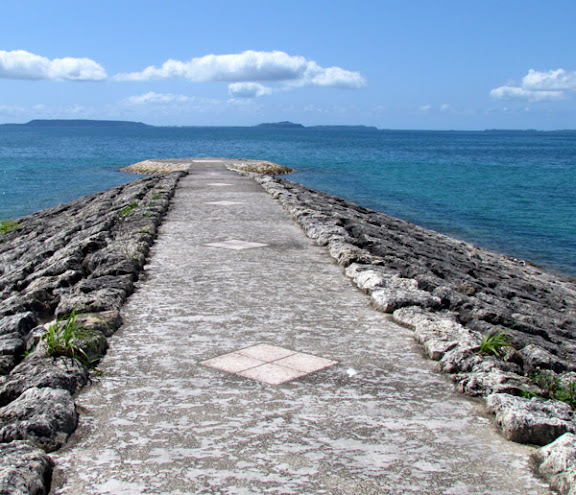 The beach stretches for about 1km north to south covered with soft white sand, and in between and at the bookends are several rock jetties for fishing or relaxing or both. 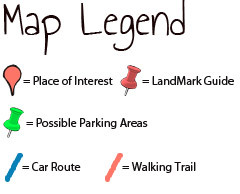 There are two parking areas designated with the green icon above. 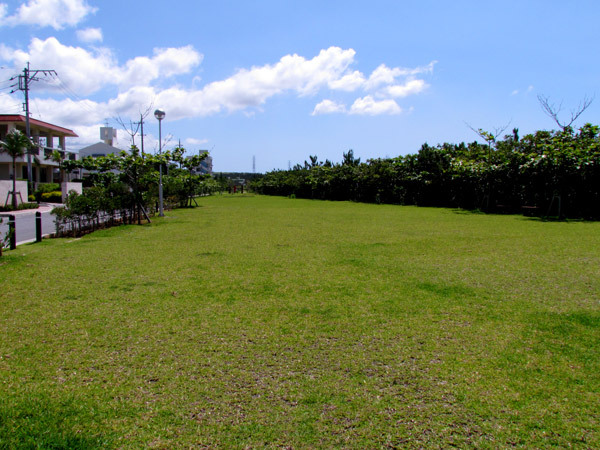 Between the parking lots lies a grassy field for playing or other recreational activities. 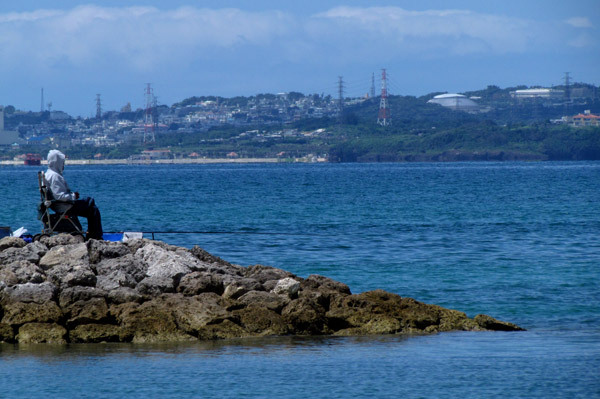 At the north end of Igei Beach is a swim net to keep out jelly fish and other dangerous sea life. See below for stated rules & regulations for Igei Beach. Recommendations. At Igei Beach there are no shaded areas on the actual beach. It is recommended that you bring your own equipment for shading. Direction. 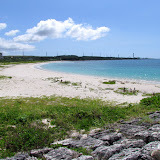 Igei Beach lies next to Highway 329 10 minutes north of Entrance/Exit 6 of the Okinawan Expressway. Parking. There are two main designated parking areas at the north and south end. See green thumbtack icons above. Bathroom facilites. Bathroom facilities are available at each parking lot. Swim nets. 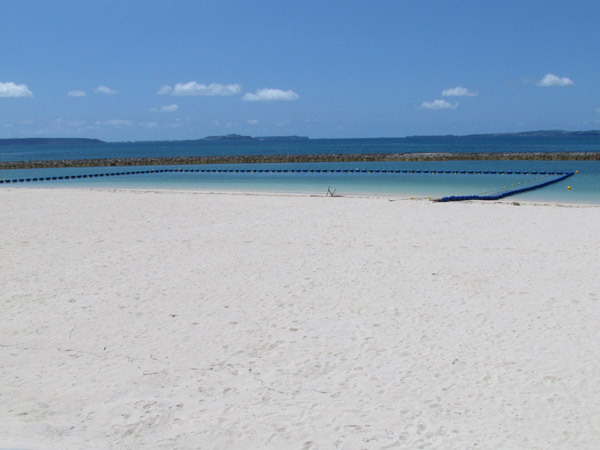 A swim net for recreational swimming is located at the northern end of Igei Beach. Main Beach Rules for Igei Beach (Signs/other rules are posted in Japanese and in English). 1. Please take all your trash with you. Do not bring glass containers or other breakables in the park. 2. Disorderly conduct or other acts that disturb other park users are prohibited. 3. Alcohol consumption, camping, as well as activities using fire such as BBQ, fire works, and bonfires are prohibited. 4. Do not disturb public peace by riding bicycles, motorcycles, and skateboards in the park area. 5. Use of power generators and floodlights are prohibited. Use of stereo, karaoke , or other noise disturbances is prohibited. 6. Please walk your pets on a leash and pick up after pet.